Kelly Ogburn is a senior associate at Hamilton Place Strategies. She assists a variety of clients with policy analysis and strategic communications related to early childhood education, healthcare, and energy issues. 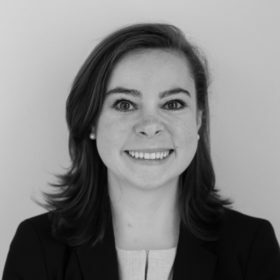 Before joining HPS, Kelly interned in the Office of Budget at the U.S. Department of Health and Human Services (HHS), where she assisted with budget formulation and analysis, entitlement program baseline comparisons, and performance management. She returned to HHS to complete her graduate thesis work within the Office of the Assistant Secretary for Planning and Evaluation (ASPE), where she conducted research and formulated policy recommendations for youth programs in the Division of Children and Youth Policy. Kelly has also interned for major media publications, including The Hill newspaper in Washington D.C. and CNBC in New York. She researched political trends, fact-checked material, participated in live event coverage and generated original content at these outlets. Previously, Kelly worked as a legislative intern for Senator Mark Warner and was a fellow on Hillary Clinton’s presidential campaign in 2016. Kelly holds a bachelor’s degree in English and a Master of Public Policy (MPP) degree, both from the University of Virginia. She grew up in Gaithersburg, Maryland.